By Dan Horowitz--Back in May 2014, iconic television personality and former host of NBC’s The Tonight Show with Jay Leno made his first trip to Israel to present New York City Mayor Michael Bloomberg with the prestigious Genesis Prize. And Leno was not shy when discussing his positive thoughts about the Jewish state. 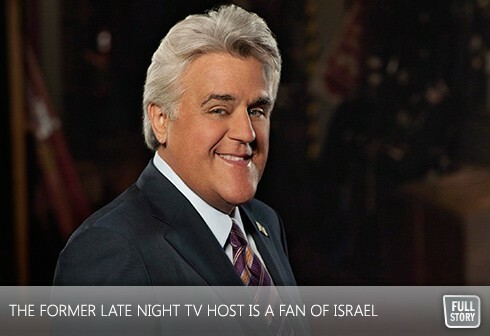 Of course, Leno being a comic and all, he couldn’t resist coming up with a political joke related to Israel. Leno is about to make another trip abroad, this time to Toronto, where, on Wednesday, September 10, he will take to the stage at the Sony Centre for the Performing Arts for an hour of his unique stand-up comedy as part of the community launch of UJA’s Annual Campaign 2015. The September 10th UJA Campaign Launch, chaired by Sara Zagdanski and Joshua Charlat, will also include a number of Israel-related components, including a live address by Bret Stephens, the foreign affairs columnist for the Wall Street Journal, a past editor of the Jerusalem post, and the winner of a Pulitzer Prize, who will be sharing his thoughts about the ongoing situation in the middle east. Also addressing the crowd will be Deputy Consul General of Israel in Toronto, Irit Stopper, and appearances by UJA Federation’s Shinshinim and the UJA Federation Diller Fellows. UJA’s Annual Campaign 2015 is chaired by Andrea Cohen and David Matlow, while Alison Himel chairs UJA’s Women’s Philanthropy. Tickets are selling fast, so to reserve yours, contact Brenda at 416.635.2883 x5135 or register online.